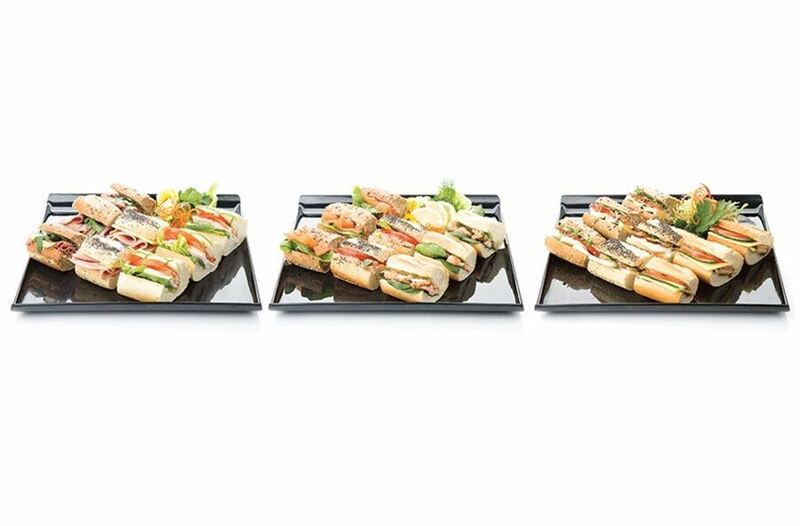 We have a fantastic selection of sandwiches and freshly baked speciality breads beautifully presented on black platters. All sandwiches are freshly prepared by our professional chefs each morning. 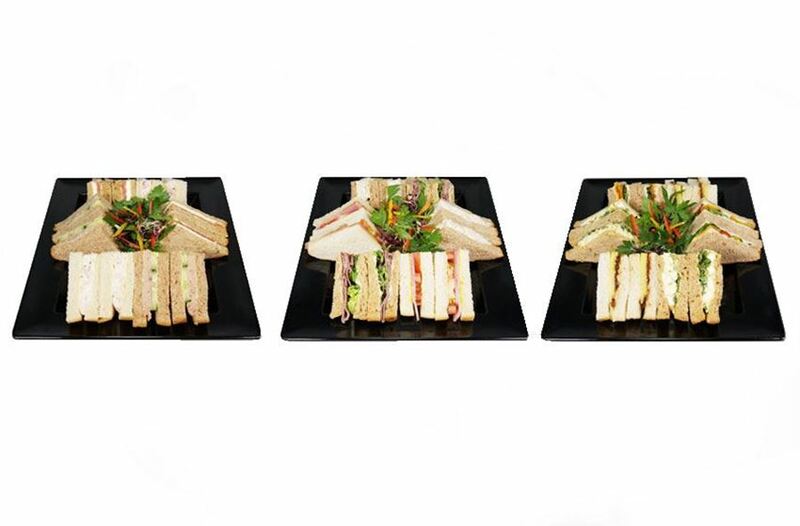 Why not add items from our ‘Individual Items’ page to your sandwich platter selection. For special diet requirements please see our ‘Special Diet’ page. 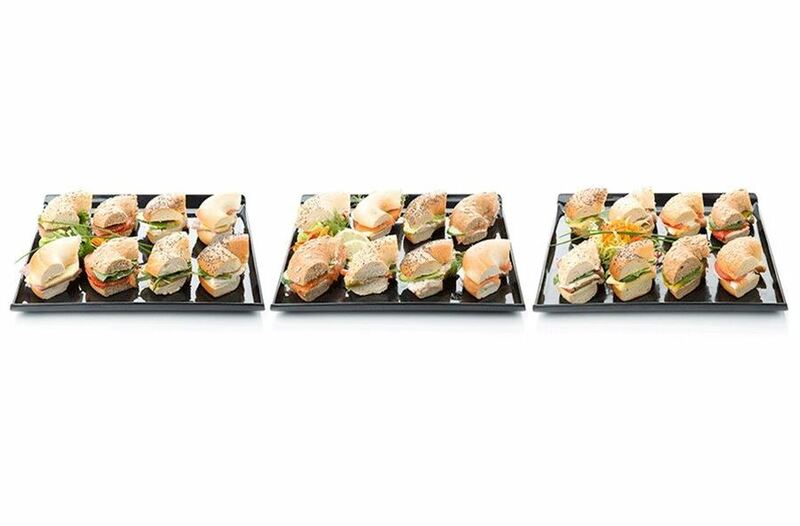 Meat, fish and vegetarian sandwiches are plated separately, with a third on each platter. These menus contain items on a weekly rotation. For allergen information please contact us. Generously filled bagels, a Mixture of plain, poppy seed and sesame seeded bagel for the following american fillings. Generously filled French baguettes, classic white, nutty multigrain and poppy seed baguette filled with the following french fillings. Ciabatta, black olive and sun-blushed tomato ciabatta and focaccia breads filled with the following Italian fillings. 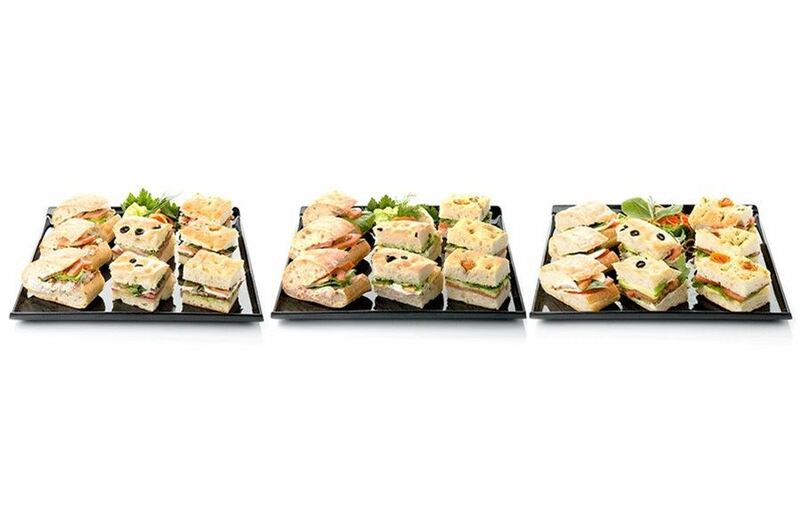 Generously filled sandwiches with a selection of classic fillings. 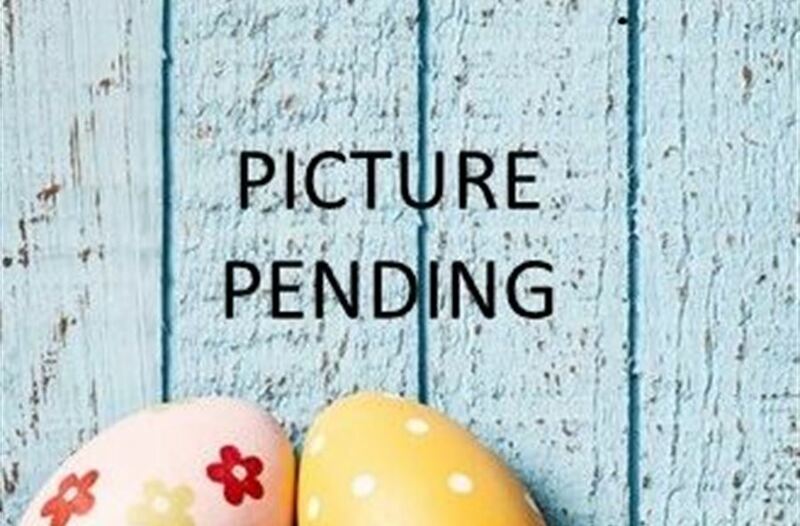 © 2019 Berkeley Catering Ltd.